What is your favorite color? Is it the best of all that is available? Does someone else’s choice differ from yours? How do you prove which is better? Can you? We hope this very simple test has shown you that opinion is relative. 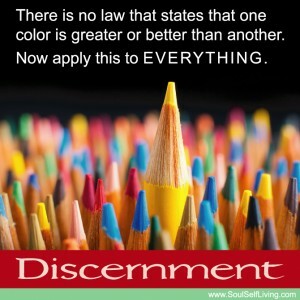 There is no law that states that one color is greater or better than another. Now apply this to EVERYTHING. How many years of age must one be to know oneself? Is 50 a safe guess? How about 75? Or would you be closer to being accurate if you said 2? When did you forget? Or stop allowing yourself to fully express? And, why? Did society’s programming overtake your natural expression and make you think, act and believe like everyone else? 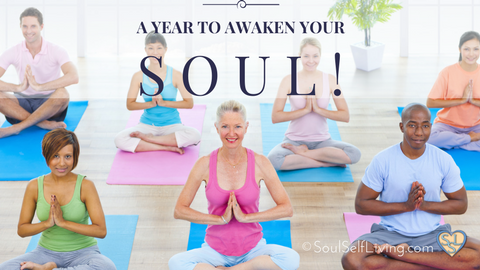 It is time to take back your Soul authority which is your birthright. Listen to your own inner voice that wants to free itself from the dungeons of mediocrity. Express your own inner truth without fear of condemnation from false authority figures outside of yourself. Awaken to your own divinity. What does spirituality mean? 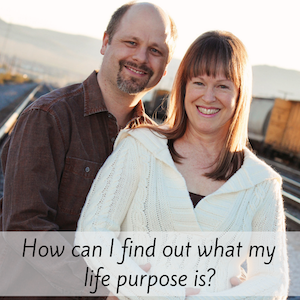 Is it following daily, weekly, monthly, or yearly rituals? Who proclaimed these ritualistic acts as spiritual? 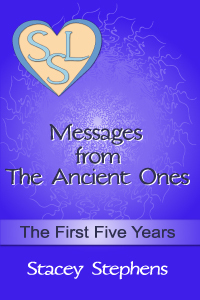 If one does not follow these specific rites are they less spiritual than one who does? How do you base your opinion? God is ALL THAT IS, meaning that everything is spiritual, even inanimate objects. For, to say that something is not of God is in opposition to God being ALL. How then can you judge? How many times must one fail before they change their minds? Are you a quick learner? Or, do you need to beat your head against a wall until you are bloodied before looking within for a better way? Society has continued down a road that leads to failure, unrest, injustice, aggravation and dismay. Why do people continue doing that which obviously does not work? Why aren’t people thinking of ways to improve their lives, and then implementing them? What great FEAR holds back the majority of the population from attaining greatness, happiness and fulfillment? Who is courageous enough to break free of this false ego-mindset? Are you? We will help you. There is no judge appointed by THE ALL. People make judgments, not THE ALL. How can ALL THAT IS make a judgment that is not against itself? Are you judging yourself or anyone else? Solution: Choose to replace judgment against another with discernment for oneself. This will eliminate every issue, guaranteed! 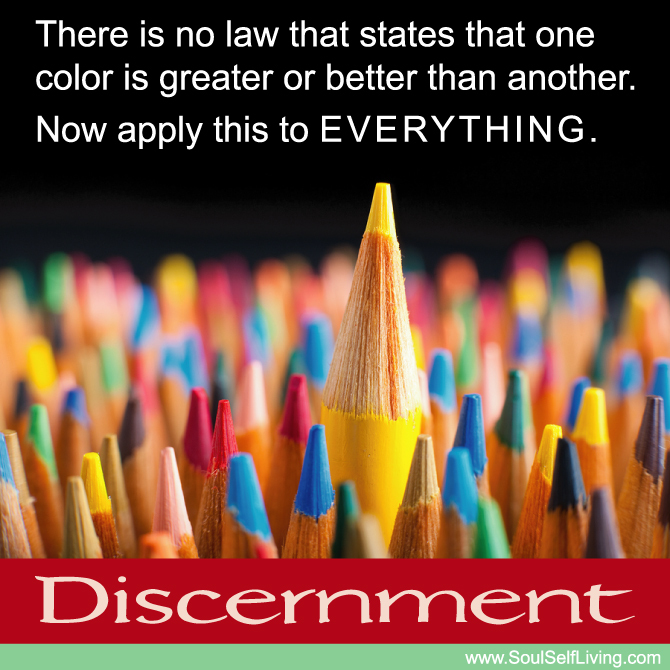 What is the difference between discernment and judgment? Is this something for my good? This is ‘bad’ for everyone and must be banned. Will acting on this bring about highest good for all? This action is EVIL and must be punished. I choose to express love and harmony. They are wicked and in need of chastisement. I can allow others to choose for themselves. I must dictate what is right for all. I will invite another to consider a different choice. I will condemn another for poor choices. Self Responsibility Meddling in another’s affairs. Diversity will look evermore wondrous as you release your programmed judgments and repressions. Look at each person you meet as your sister or brother, and begin living in community consciousness. Click To Tweet Become aware of your connection with everything and everyone. Invite your heart to share in the feeling of connection. We hope that you will allow yourself to change your perceptions as you experience greater evidence of life being DIVINE.